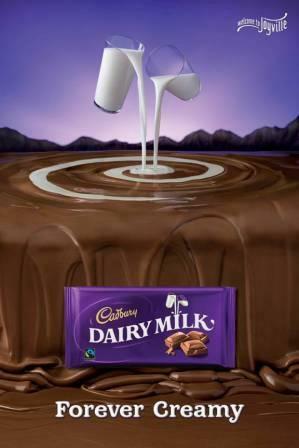 An Exciting Cadbury Dairy Milk 'Creamy Chocolate' Event! I love to eat chocolates! In any forms (bar, drinks, dessert, flavor, etc. ), chocolate truly thrills me! And of all the chocolate brands, Cadbury Dairy Milk is the one I love the most! Cadbury Dairy Milk is the original and the oldest chocolate brand in the world. It started in 1824 when a young Quaker named John Cadbury opened a tea, coffee and cocoa shop in Birmingham in the United Kingdom. And that simple shop prospered giving us now the everybody's favorite, the Cadbury! Cadbury Dairy Milk comes in different variants. To name a few are the Dairy Milk, Dark Chocolate, Fruits & Nut, and Cashew & Cookies! Of all these variants, the Dairy Milk is my favorite! It's because, I love the taste of milk combined in a creamy chocolate. Yes, milk and chocolate are the two drinks I love the most and I always looking for! Since childhood, I love to eat the Cadbury Dairy Milk products. If I'm not mistaken, the last time that I had my favorite Cadbury chocolate was Christmas last year when my cousin gave us a bar of it. And we enjoyed it together with my brother and mother! Well if you ask me why I love the Cadbury Dairy Milk products, my answer will be simply, it's "smooth and creamy!" This is the texture of Cadbury Dairy Milk and the pleasure that comes with eating it. Definitely, this is also the reason why this brand stands above the rest! 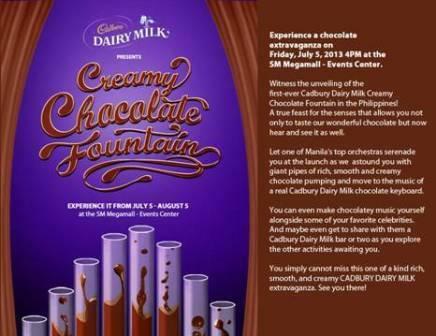 Since this is my first time to attend the Cadbury Dairy Milk event, I expect a lot from this! I'm expecting to see more chocolate variants in the event. I'm also expecting for fun games and contests that I may join with. Of course, I want to mingle with the celebrities present in the event. 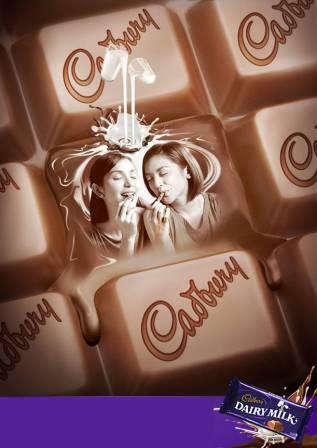 What more, I'm expecting more and more surprises the Cadbury will reveal during the event!